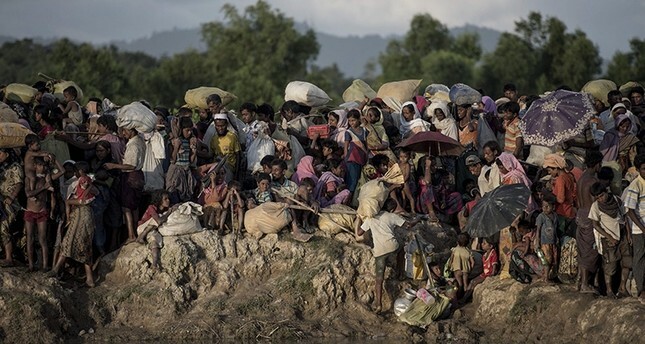 The International Criminal Court ruled on Thursday that it has jurisdiction over alleged deportations of Rohingya people from Myanmar to Bangladesh as a possible crime against humanity. The decision at the Hague-based court paves the way for prosecutor Fatou Bensouda to further examine whether there is sufficient evidence to file charges in the case, though she has not done so yet. "The Court has jurisdiction over the crime against humanity of deportation allegedly committed against members of the Rohingya people," a three-judge panel said in a written summary of their decision. "The reason is that an element of this crime - the crossing of a border - took place on the territory of a State party (Bangladesh)." Myanmar's government spokesman Zaw Htay did not respond to calls seeking comment on the ICC decision, instead sending a text response: "I can't talk right now." Bensouda had asked judges for a formal opinion on the matter, as it was not clear under international law. However, Thursday's ruling was potentially more expansive than experts had foreseen. Judges said: "The court may also exercise its jurisdiction with regard to any other crime set out in article 5 of the statute, such as the crimes against humanity of persecution and/or other inhumane acts." An independent U.N. fact-finding mission in August concluded that Myanmar's military last year carried out mass killings and gang rapes of Muslim Rohingya with "genocidal intent" and the commander-in-chief and five generals should be prosecuted for orchestrating the gravest crimes under law.